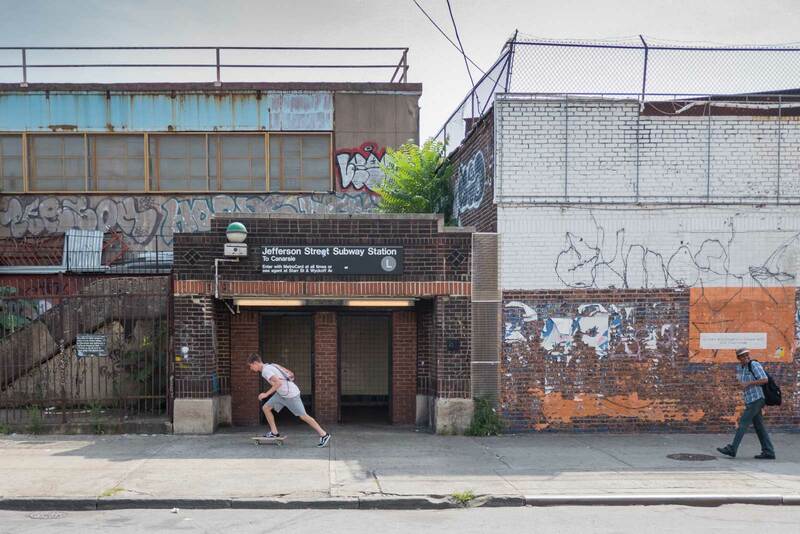 The L train cuts across Manhattan’s West and East Villages before crossing under the East River and through hip Brooklyn neighborhoods like Williamsburg and Bushwick, before finally terminating in Canarsie, just south of Brownsville and East New York. 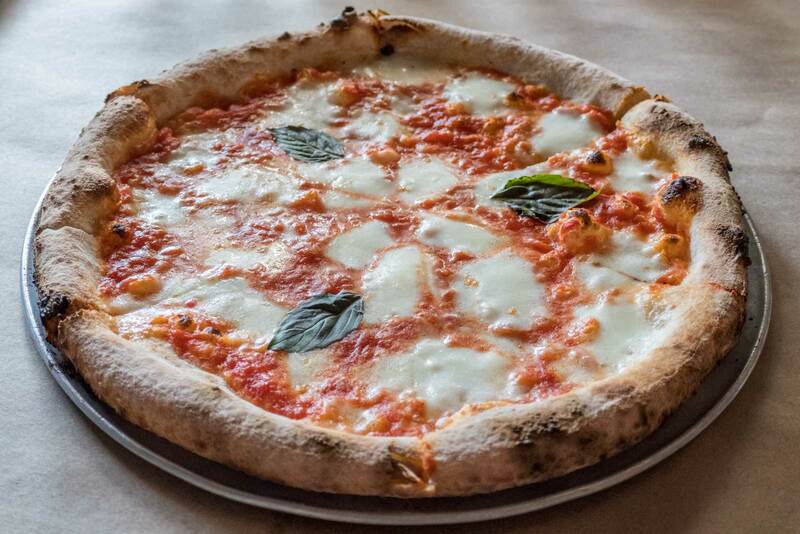 Some of the best pizza outside of Naples can be found along that route. Here are some places to try, all of which are near an L train stop. A similar version of this post originally appeared on Arrivedo. Union Pizza Works offers a small menu of whole pies and small plates in a super casual atmosphere. As unique as their wine collection is the fact that everything on the menu is less than $20. It’s cash only and they are open for lunch on weekends. Dinner only during the week. Be sure to check out the street art around the nearby Bushwick Collective. With creative pie names like Beastmaster and Speckenwolf, tables are hard to come by at Roberta’s. Part old warehouse district, part artists community, this section between East Williamsburg and Bushwick is in a transition phase but still has a pre-Giuliani New York vibe. If you’re not prepared to wait in line at Roberta’s, you can buy their frozen pizzas at Whole Foods. 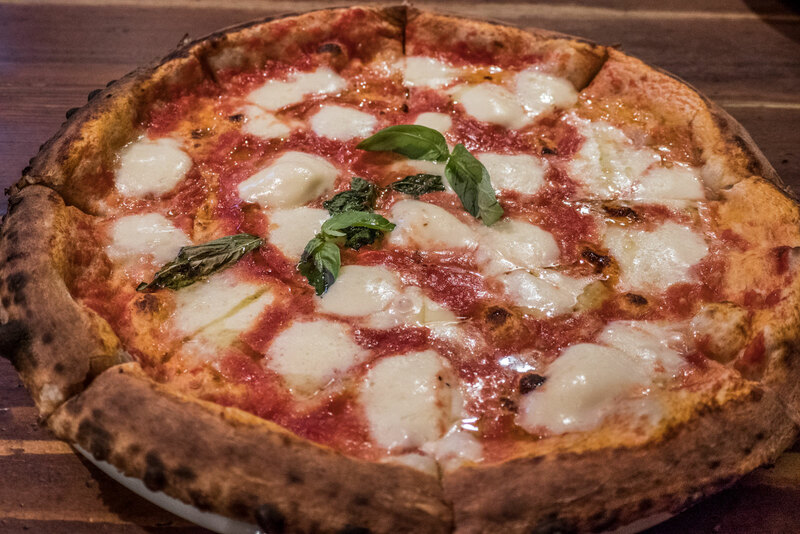 Forcella is one of the few pizzerias in Brooklyn that offers fried pizza (montanara). It’s pretty famous in Williamsburg. They also have truffle fries and pannacotta on the menu. They say you can get anything in New York, but only Fornino has the Al Roker pizza. Just one stop from Manhattan on the L train and easily accessible by NYC Ferry, there’s no excuse for not coming to this part of Williamsburg. It also doesn’t hurt that Artists and Fleas is just a few blocks away. If you’re looking to splurge, try the tartufo pizza at $35 for an individual, but be sure to save room for the lemon olive oil cake (topped with strawberry sorbet). 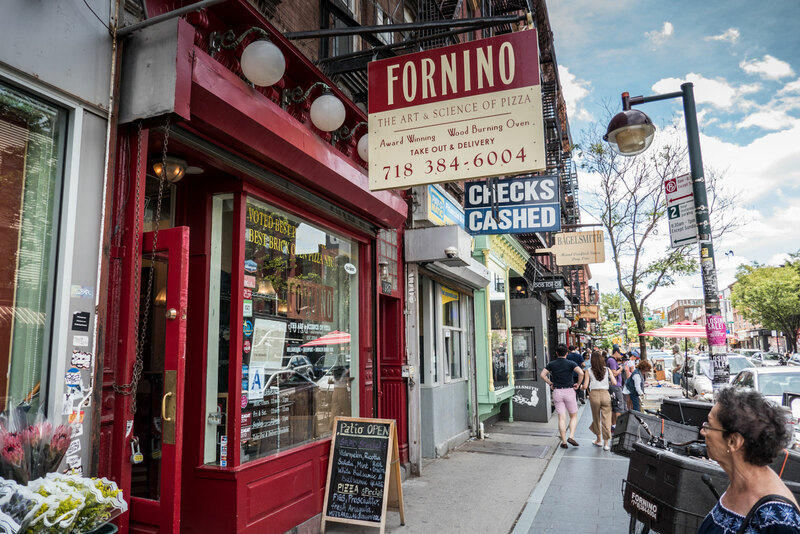 Motorino started out near the Williamsburg Bridge in Brooklyn and has since branched out to Asia, as well as Manhattan’s East Village and Upper West Side. 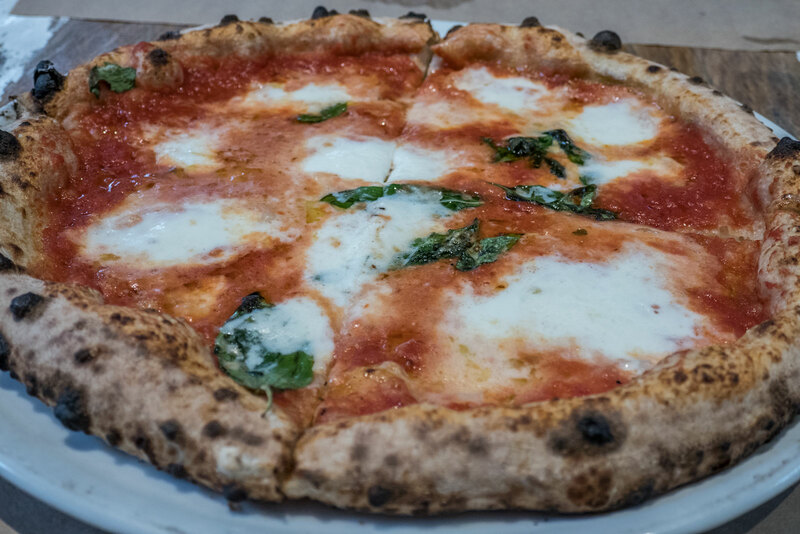 They have the traditional margherita (but with sea salt) and marinara (vegan-friendly), but also offer toppings like brussels sprouts and kale. Anyone who grew up on punk rock/new wave and/or watching MTV will enjoy their visit here. Although there’s no jukebox, the music you hear at Motorino will remind you of the neighborhood pizza parlor you frequented in the 1980s. Owned by a Neapolitan-born piazziolo, Luzzo’s in an example of why the East Village is now one of the hottest neighborhoods in Manhattan. Their crust is slightly crunchier than the average Neapolitan-style pizzeria, but that’s not a bad thing. If you’re bored with round pies (and shame on you if you are! ), they offer square pies, pizza cones, and even pizza fritta (fried pizza). The rustic atmosphere on the floor is almost matched by the furniture screwed into the ceiling. Near the entrance off First Avenue, there’s a table underneath an upside-down chair and coffee table, which hang from the ceiling. They are yet to fall on any diners, so you can relax and enjoy your pizza. 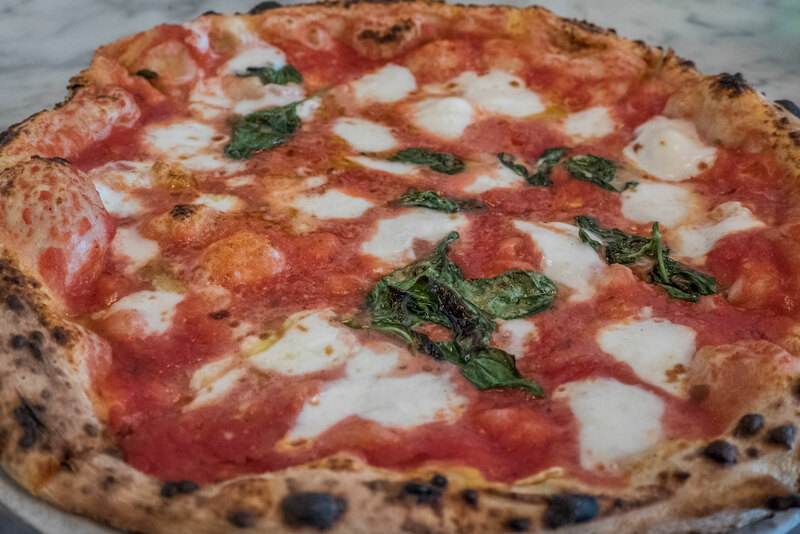 Located just a couple blocks south of Union Square, Ribalta is owned by two Neapolitan-born NYC restauranteurs. They use natural yeast from Italy, which they claim makes the pizza light and easy to digest. There are some basic toppings available, but all in all, the menu is fairly conservative by New York standards. If you show up during a soccer match, you may find the staff to be a bit preoccupied. Don’t get frustrated. Europeans are passionate about football and if you at least try to get into the match, it will add to the authenticity of your experience. Try to save room for dessert. If you’re one of those people who have trouble deciding between Nutella pizza and tiramisu for dessert, try the babamisu! You made my tummy growl looking at the photos of pizza. They sure look so mouth watering! I will make sure I visit these places the next time I am in NYC. OMG all of these pizzas look amazing! Definitely bookmarking this because eating pizza in Brooklyn is one of my husband’s top bucket list items! I don’t know how the pizza lover that I am, did not know about all these great places. These pizzas are calling my name. I am a pizza lover! and Wow! I am totally amazed at the places with delicious pizza! I should try them! Pizza is one of my favorite dishes! If I ever make it to NYC again, definitely going to consult this guide. It’s official. I’m now starving. And fried pizza? I’m not sure what I think about that except. isn’t everything better when fried?? I love pizza and am seriously craving some after reading this post! Going to come back to this list on my next trip to NYC. These pizzas look legit — much more Italian than we usually see in American pizza places. They all look wonderful — box me up a dozen!